You decided to cast your RCC members with “ready-made” concrete. Ready-made concrete is always called “ready mix” concrete. 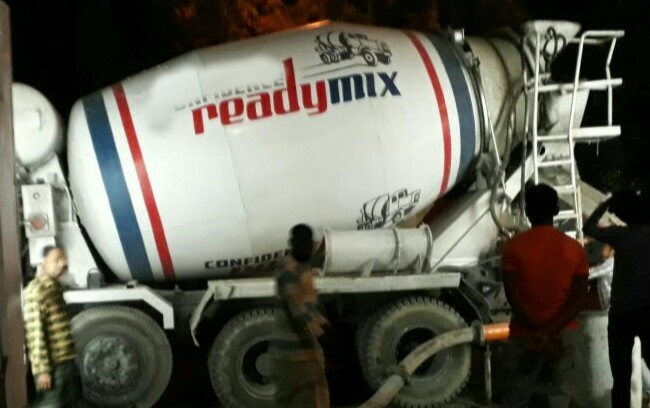 There are many reasons to choose ready mix concrete over machine mix concrete. That is another topic. When you choose ready mix concrete as your option, the frist step is to select a supplier who will meet your requirements. This is not so easy as we think. There are many reasons to consider when choosing a ready mix supplier. 1. Distance: The american concrete institute suggests that concrete must ba discharged within one and half hours of being batched. So, the further the distance of plant from your construction site the higher the chance of delay. It’ll also increase transportation cost. So select the plant as nearest as possible. You can ask some ready mix supplier to suggest a nearest one. 2. Experience & reputation: Always choose a supplier that has experience and a reputation in this sector. Conduct a little survey, ask someone who has experience in this field to suggest a reputed supplier for you. 3. Service quality: Even some inexperienced suppliers may have experienced professionals. They may serve you better. But, sometimes experienced and reputed supplier may provide you inexperienced professionals. So discuss with them and ask them to provide experienced professions so that you can pour concrete smoothly. Otherwise, it’ll take long to finish your casting. As a result, project cost will increase. 4. Truck number & sizes: Before choosing supplier, know about their the truck numbers and sizes. Because if their truck sizes are big and your project is located on narrow road side then there’ll be hassle to reach the truck. On the contrary, if your job site is located on bigger road side and the company has small trucks then it’ll take time to finish your casting. Similarly, Number of available trucks also affect the casting time. So choose carefully that suits you best. You can invite supplier’s representative to visit your job-site for this purpose. 5. Take a visit to plant: Last but not least, you should have a visit to ready mix plant to justify the concrete ingredients the supplier will supply you. If everything is perfect as you want, you may now process an order for ready mix concrete with the supplier. Your advice to check the size of truck to make sure they’ll be able to find on your road and be able to provide you with the amount you need is a great idea. One that will be able to get to your home without causing a problem could be important to ensure you have the ready mix concrete you need for your project. I’d imagine that you’d probably want to call the contractor so you can talk to them about the size of their vehicles and any other questions or concerns you have in order to make sure they’ll be able to provide you with the ready mix concrete. I like that you mention finding a contractor who has a good reputation. My brother is looking to get ready mix concrete for his home but needs tips. I’ll be sure to talk to him about finding a reputable professional for help. I’m really grateful that my post helps you a little. Thanks for the advice about how concrete needs to be used within one and a half hours of being mixed. My husband and I want to put in a sidewalk around our house because we live on a corner, and it’s hard for my mother to get from the street to our door in her wheelchair. Maybe we should look for mixed concrete services that are close by so they can mix the stuff and get it to us within an hour and a half. Thanks for explaining that the number of available trucks affects the casting time. I am looking to get some ready mix concrete for a house I want to make for my family, so I’ll be sure to track the number and sizes of a supplier’s trucks. Perhaps I’ll also take a visit to plant as well to justify the concrete ingredients I will get. I’ve been looking for a good concrete dealer, and I think that being able to get some information would be good. I’m glad you talked about being able to look at service quality, and how concrete dealers would need to provide experience. I’m going to have to look for a good concrete dealer, and see what we can find! Thanks! It’s surprising to know that concrete must be discharged within one and half hours of being batched according to the standards of the American Concrete Institute. I’m planning to have an area of my house renovated and it involves the use of concrete. 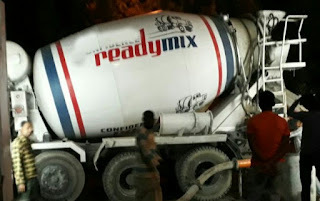 I’ll definitely limit my search for a ready-mix concrete company within my area so that distance will not be a problem. I love that you talked about checking the truck sizes of the concrete supplier since it is important to assess whether they can enter your location smoothly or not. I will make sure that my uncle knows about this information, too. He is currently looking for ready mix concrete suppliers to be delivered to their site. They are going to be building a commercial building to be rented by shops and restaurants. Thanks for the tips! Right, Millie. That should be checked. My wife and I are wanting to lay a new driveway this summer, so thanks for sharing this. I like your point about choosing a concrete mix supplier that is experienced. We’ll be sure to do this so we can get expert advise on mixing and pouring the concrete. I am thinking of adding a concrete space in my backyard for a basketball court and I am glad that I found this article because I am trying to choose a concrete supply company. You make a great point that you should choose a company that is experienced and reputable in the community. Also, I appreciate that you say to visit the concrete plant to make sure that they provide quality concrete ingredients that I can trust. I’m glad that you read the post. Thank you, Rosie. I like that you reminded to consider the distance a concrete company has to travel to deliver. This will effect what kind of concrete you want. Ready made can be really beneficial if you choose someone close. I agree that quality is very important when choosing a concrete mix supplier. They should be experienced and be able to pour concrete smoothly, like you said. They will know how to mix the concrete perfectly to be just the right consistency.